Break up the reflection on your windows to ensure birds don’t crash into them. Draw your blinds, install UV stickers, or simply hang ribbon on the window to make them visible to birds. Studies have found that placing bird feeders and bird baths less than one meter or more than 10 meters away from a window can help reduce harmful collisions. Tip 2: Support Nature Conservation! EALT has conserved 2,240 acres of natural areas in 10 years of operations. This is equal to 14 farmers’ fields or 533 average city blocks. 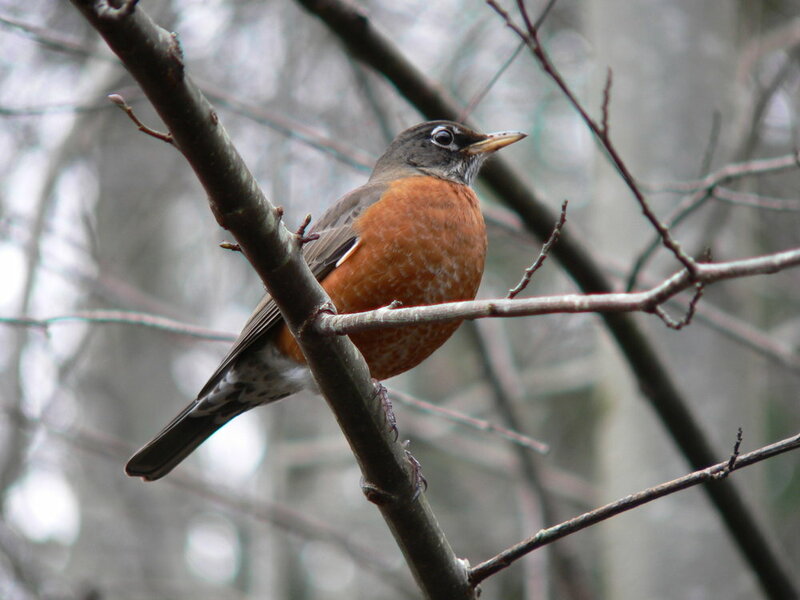 These natural areas provide migratory birds with a place to rest, forage, and nest. You can help EALT conserve local nature by volunteering, donating, and helping us spread awareness by sharing this post with others. Turn off your lights to help migratory birds! Birds who migrate at night use the moon and stars to navigate. Unfortunately, these birds are drawn toward light-polluted areas, veering off course and entering large cities. This increases their chance of colliding with a tall building, which happens to millions of birds each year. Completely shielding your outdoor lights will direct the light to the ground, which is where it is needed, and this allows you to use a lower-wattage bulb for lighting. Using timers or motion sensors will also help reduce light pollution and decrease your power bill. Visit darksky.org for more information on efficient lighting products. Autumn is a great time of year to check your dryer and stove vents to ensure they have the proper coverings, and to inspect the vent for signs of a bird’s nest. The birds will be finished nesting, and you can safely remove the nesting materials and install a proper vent cover to prevent birds from nesting inside next spring. A tall open pipe, sticking vertically out of the ground, can become a death trap for an unfortunate bird, if it falls in. One of EALT's natural areas, Golden Ranches, was found to have this hazard, hiding in the form of gate posts — open steel pipes of varying heights. A survey of these open pipes found at least one recently deceased sparrow. With this unpleasant discovery, we immediately covered the pipes with supplies available on hand, to prevent other birds from falling in. As a permanent solution, we ordered durable, plastic lids. Littered plastic products, such as candy wrappers, can cause severe issues if swallowed by migratory birds and other wildlife. Birds cannot digest plastic, so a candy wrapper may cause a blockage in the stomach, leading to eventual starvation and death. Items such as six-pack rings can get tangled around a bird, preventing it from flying or foraging and eventually leading to it starving to death. To ensure you don’t contribute to litter in our community, it is also important to secure your garbage for pick up day, in a sturdy can. Preventing local animals (including cats, dogs, magpies, and skunks) from tearing into your garbage overnight is just as important as not throwing garbage out of your car window as you drive! Install reflectors on fence wires to make them more visible to migratory birds. Birds can collide with fences, break their wings, impale themselves on barbs, and become tangled in wires. Large, low-flying birds such as ducks, geese, pelicans, grouse, hawks, and owls are most vulnerable. Waterfowl may fly into fences near or across waterways, and hawks and owls may careen into fences when swooping in on prey. Reflectors can be made from cut up siding pieces with reflective tape on them. Even installing plastic jugs on the wire that crosses water can help prevent birds from crashing into it. The best time of year to tackle this issue is in mid-winter when the water is frozen over, allowing easy access for installation. Autumn is also a great time to clean out nest boxes. Remove old nesting material and add fresh shavings to waterfowl, woodpecker, saw-whet owl, and chickadee nest boxes. Most other boxes can be left empty. Before cleaning out your nest boxes, make sure to stand to the side and knock first. There may be a red squirrel or flying squirrel sleeping inside! Maintaining your nest boxes will ensure it is ready for the return of the migratory birds next spring, and may serve as a roost for a bird seeking shelter in the cold winter months. 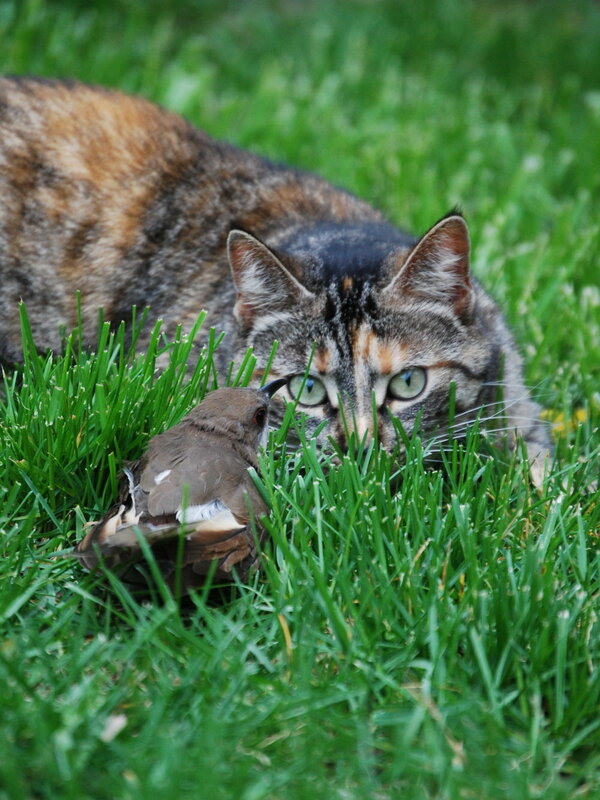 Predation by cats is the leading cause of songbird deaths, with over 100 million deaths estimated annually in Canada alone, and some estimates place this number much higher, closer to 200 million. The best way to keep your cat and wild birds safe is to keep your cat indoors. This is especially important during migration and breeding seasons to prevent them from killing birds. Indoor cats live longer, healthier lives than outdoor cats. If you let your cat outside, consider keeping them on a leash or harness, or keeping them in an outdoor enclosure.